A full scale Prada store sits alone in the scrub land thirty-seven miles outside of Marfa, Texas. 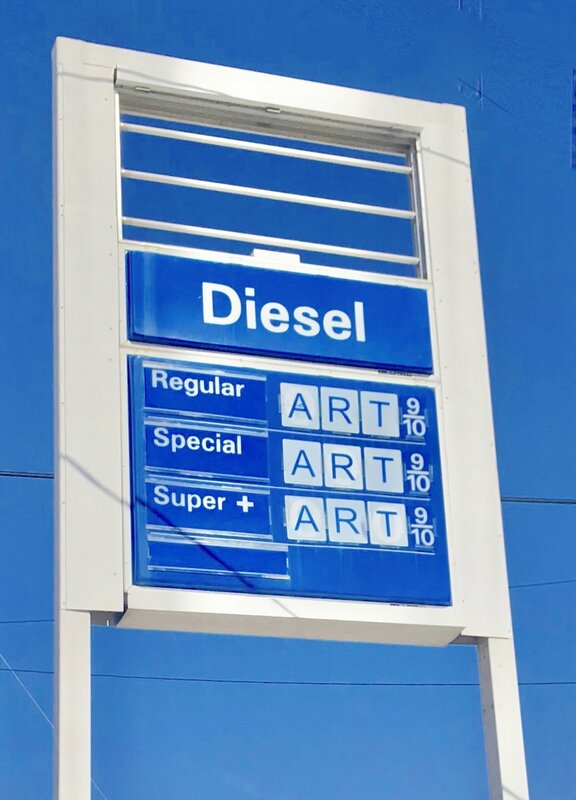 It's not a real store, it's an art installation. You can't go inside but you can look in the windows at the real products Prada donated. Stars like Beyonce post pictures on their Instagram posing outside. To me, this did not seem like good reason to add six extra hours of drive time to our road trip. 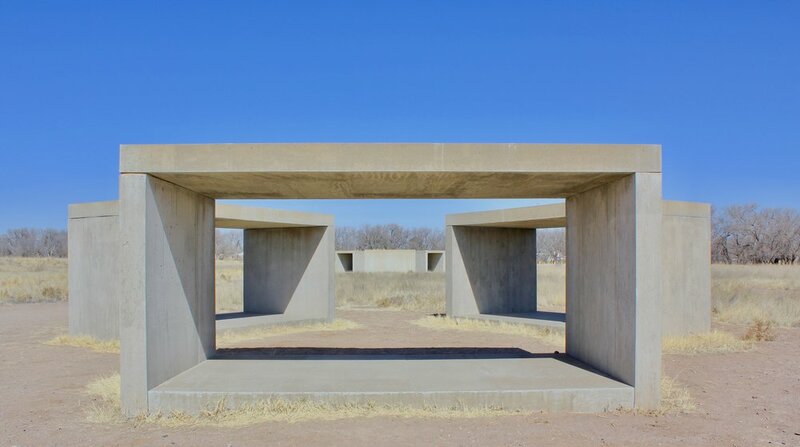 But Nicole's sister, who lives nearby in Midland, Texas, suggested we visit Marfa. Nicole started researching. Nicole got excited. 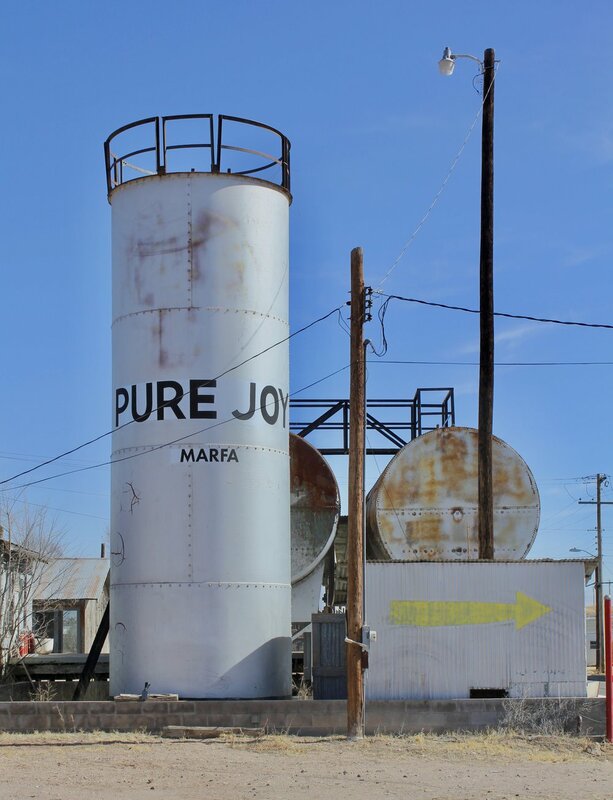 I readily admit I was wrong about Marfa. I grew up in a small town with a population around 2,500. Marfa is almost exactly the same size. But I knew things were different at the happy hour in our hotel the night we arrived. We stayed at the Hotel Saint George. If you visit Marfa, you should stay there. At approximately $150/night (snagging a last minute deal), it wasn't cheap. But it's not New York hotel prices either. And it felt like a swank hotel. Our room featured a table carved from a tree trunk ... in the shower. Nicole suggested having a drink in the hotel bar. I resisted. Seemed expensive. But then we found out they have a daily happy hour. $5 margaritas. I got on board. And then the Marf-ians poured in. For Marfa dudes, you are going to want to wear tighter khaki pants. Roll those things up to just below mid calf to expose white athletic socks. High top Chuck Taylors. A vintage plaid shirt and you're good to go. I wasn't too far off in my Red Wing work boots, jeans (which I typically roll a half turn) and Pendleton flannel shirt. Call it conservative Marfian. In sum, totally fun scene for drinks. From the hotel, we walked down the dusty street to Stellina for dinner. Sitting at a table by the window, sharing a steak, I told Nicole that, if we didn't look out the window but only in the restaurant, I'd guess we were dining in Brooklyn. But the coup de grace came the next morning. As I laid in bed reading the latest issue of trendy New York magazine on my iPad, an article featured The Coveted Tote Bags That Scream 'Status'. Being all about both tote bags and status, I read on. As luck would have it, status hovered within reach that fine morning. Just down the street, at Marfa's local grocery store, The Get Go, they sell a trophy tote. So we drove a few blocks, plunked down our $12 per, and bought a few. The woman behind the counter didn't seem impressed by the magazine article when I mentioned it. Coveted totes in hand, we drove around town taking photos and then headed off into the Texas sun towards Midland. Like this post? Want to read more about Travis and Nicole's travel adventures? Check outAn Unplanned Drive Through The Petrified Forest National Park In Arizona -- A Photo Essay.